Key information about clinical negligence claims, including funding, the law, timescales and types of compensation. It has been reported in The Telegraph recently of the 20 year struggle by the family of Nathalie Sugden to achieve compensation for the severe brain injury she suffered due to negligent medical treatment which occurred in 1994. As a clinical negligence solicitor I have had lots of questions since, asking whether this is “normal” for a clinical negligence claim? 1. How is a clinical negligence case funded? There are several different methods of funding a clinical negligence claim available. The primary methods are Legal Aid, Legal Expenses Insurance, Conditional Fee Agreements (“no win, no fee”) and private funding. Not all of these methods of funding will be available for every case but your clinical negligence solicitor should explain your options and advise on the best one for you. 2. What is the law and what do I need to prove to succeed? (1) That the treatment you received fell below an acceptable standard of care. What is an acceptable standard of care is judged by reference to a responsible body of clinicians in the same field at the same time as the treatment was provided. If a clinician’s actions are supported by a responsible body of their peers (i.e. they would have done the same) then the treatment is not considered to have been negligent. (2) That the negligent treatment caused or contributed to you suffering injury or a worse outcome which you otherwise would not have done. If the outcome would have been the same without the negligence then a claim will not succeed as no harm has been suffered. 3. How do I prove my case? In order to investigate whether medical treatment was negligent and also whether you suffered a worse outcome due to negligence we need to involve medical experts. These experts are completely independent (i.e. they will have no connection with the hospital or medical staff involved in your treatment) and they advise us on the standard of treatment provided and whether this was acceptable. In order to then prove whether you have suffered harm and what that harm is you may also be required to attend an appointment with an independent expert so they can understand your condition and advise us how you have been affected so we can obtain the right level of compensation for you. Every case is different and the length of time a case will take depends on many different factors. The case in the news recently is an extreme length of time and is unusual. It was explained that the timescale was due to the hospital involved denying liability for many years. If liability for your injuries is denied then a case will take longer. On average a case will take about 1-3 years. Another factor that can affect the length of time is whether a final prognosis can be given for your injuries as this affects the level of compensation. This is particularly relevant in cases involving injury to children as their condition can change while they are growing and maturing and the full extent of their injuries may not be known until they are older. The overwhelming likelihood is that you will not have to give oral evidence in Court. Court proceedings may be issued in your case but only a very small percentage of cases go to trial and the parties to a case are encouraged strongly to try and resolve cases out of Court at every stage. 6. What compensation will I receive? This again depends on many different factors including what injuries you have suffered and the prognosis. There are 2 types of compensation: (1) general damages for your pain and suffering; and (2) special damages for your specific financial losses, such as loss of earnings and care. The patients who receive the highest amounts of compensation, which are often reported in the press, usually have suffered injuries which will affect them throughout their life and leave them requiring high levels of care. 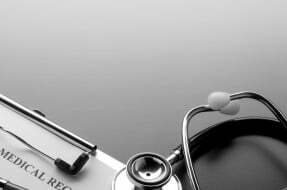 If you have concerns as to medical treatment that you have received and you are unsure about your options and whether to pursue a claim, then please contact me or one of my colleagues in the Clinical Negligence Team and we will be happy to discuss this with you.